Silva vs. GSP in Toronto? The die-hard fans are praying for it, but there are still quite a few obstacles in the way before the UFC puts on another mega-fight. 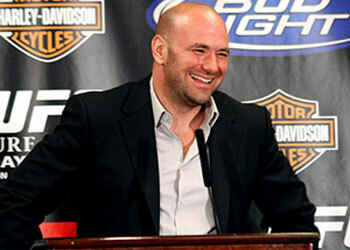 However, if a Georges St-Pierre and Anderson Silva middleweight clash does happen, the show could be hosted up north. Which brings us to our first roadblock, IF GSP can get past Alves at UFC 100 on July 11th at the Mandalay Bay Event Center in Las, Vegas, Nevada.. The Brazilian is without a doubt the most physically imposing fighter St-Pierre has ever faced, and it will be interesting to see if the champ will be able to unleash the dominant G’nP that he has displayed in his previous five contests. “Do not overlook Thiago Alves,” White said. “This guy is mean and nasty, and that’s going to be a very, very hard fight for him. Georges St-Pierre can’t start looking at Anderson Silva until he gets past Thiago Alves. The second hurdle for getting these two inside the Octagon together would be to get Silva out of the two-fight funk he is in. Although he has walked away victorious in those two scraps, he has looked anything but motivated and explosive. Lastly, Toronto does not currently sanction mixed martial arts. However, that is a minor detail that White intends to personally remedy by 2010. Getting approval from Toronto shouldn’t be an issue considering the UFC’s first two events in Canada sold out in record time. In fact, this past weekend’s UFC 97 inside of the Bell Centre in Montreal set a new North American MMA attendance record of 21,451.